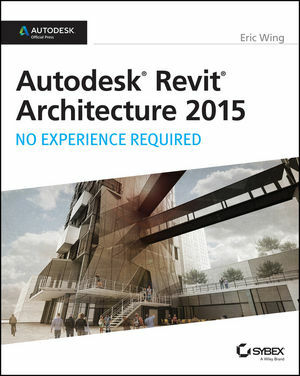 Autodesk Revit Architecture: No Experience Required is a completely self-paced guide. You can work along with the tutorial from cover to cover or jump in anywhere. No matter how you use this book, you'll be able to transfer the useful concepts to your professional practice. Eric Wing is the Building Information Modeling manager at a New York engineering firm, director of the Autodesk User Group International (AUGI) Training Program, author of four books, and Revit columnist for AUGIWorld Magazine as well as AUGI HotNews and ConnectPress. Eric is an Autodesk Certified Instructor and popular speaker at Autodesk University, presenting to groups of 500–1000 Revit users at each of his three AU sessions, and also frequently speaks at other industry events, including American Institute of Architects, CSI, and AUGI user group events.